As people already know about so many things about cars and how to take care of the car engine but those people who are new drivers or just bought their first car may not know about how to take care of their car engine, these tips and details are not limited to newly car users but it also for professionals and long vehicle owner users as well. 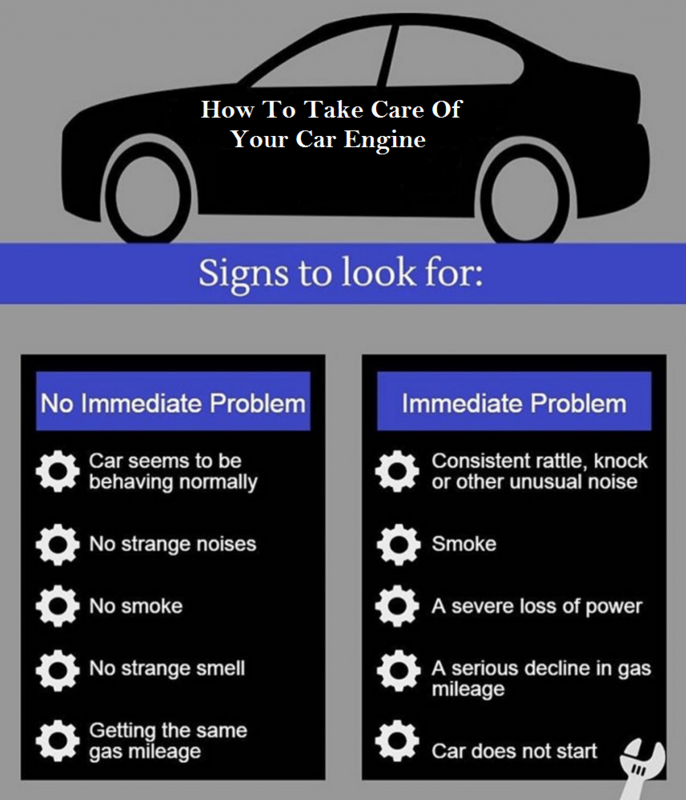 Signs to look for: when the engine lights on. How To Take Care Of Your Car Engine: Never let your car without care. Let’s starts from some basics car engine details. Avoid engine problems by regularly check the engine oils from using a stick inside the engine to know whether the oil is at correct level. Check the water inside the radiator is at correct level, in addition better to use coolant for the engine to avoid corrosion and engine heat up. Apart from engine oils there is other oils, vehicle owners should have to check after couple of months such as gear box oils and brake oil which needs attention after some time. Two types of battery available in the market dry form and liquid form, in case of liquid form you need to check the battery liquid regularly to prevent from damage a battery cell and start up engine problem. These are the basics car details which every vehicle owner must have to know to how to take care of Your car engine to avoid any issues arises while driving. Try to use little hot water for cleaning the engine or to get the engine back to cold before using cold water otherwise cold water on hot engine could potentially a threat to the engine, secondly always clean the engine in the morning to dry up in the sun all day, in addition many products for cleaning the engine are available on the markets are worth able to use such as degreaser, form and so on. Products for car washing engine usage are mentioned on the products so not to get worry about it. Here is some video tutorial about how to clean your engine. Engine need service after 6000 miles from regular car mechanics to put back their engine at their optimal level such services are cleaning throttles, fuel injectors, carburetors, plugs changed, air filter change and sometime tapped need to readjust at their best position for better engine performance and fuel efficiency. By helping to reduce build-up of contaminants in fuel injectors and carburetor systems, Valvoline Fuel Injector and Carburetor Cleaner cleans and lubricates to restore engine power and reduce fuel consumption while preventing start-up problems or engine hesitation. Engine Flush is an engine cleaner with a specially designed formulation which dissolves sludge and is friendly for seals and gaskets. Engine Flush cleans oil pathways to improve oil flow to critical engine components as well as reduces sludge and other harmful deposits from the engine and oil pan. If someone tries to do it at home make sure the engine is very delicate any wrong doing could damage the engine, therefore better be well known about how to service the car engine otherwise use expert advice.